The most preferred guitar stand. 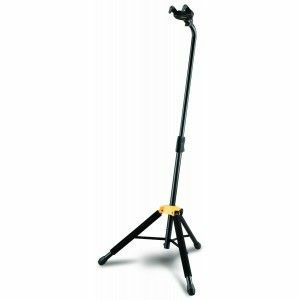 This guitar stand comes with state-of-the-art features like non–marring rubber and foam, locking height adjustments and automatic locking cradle. The perfect stand with high quality metal which won't bend, chip, or slip, this is the most preferred guitar stand.